Gov.-elect Jared Polis laid the first concrete bricks against taxpayer money accountability Thursday in announcing Cary Kennedy as his senior advisor for fiscal policy. 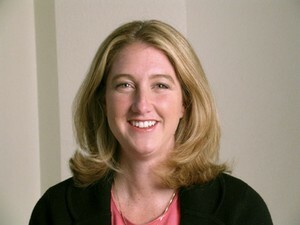 Kennedy’s political record extends beyond her failed gubernatorial bid against Polis to her role as Denver Mayor Michael Hancock’s deputy mayor and chief financial officer. PeakNation™ will recall Kennedy was clueless about the $75,000 payout to Detective Leslie Branch-Wise for sexual harassment complaints against a mayor’s friend and fellow employee. That’s right, the chief taxpayer money handler didn’t think it was her job to know how much, or how many harassment claims were paid out by the city. She wasn’t even asked about it until she was running for governor. Her explanation seemed to be that she’s not accountable, because she didn’t know about it. We expect this will also be how transparency works in the Polis administration. They won’t be accountable for spending, because they won’t want to know about the spending, so they don’t have to be transparent about spending. If sexual harassment is also covered up along the way, well, Democrats are getting quite adept at that little trick as well.